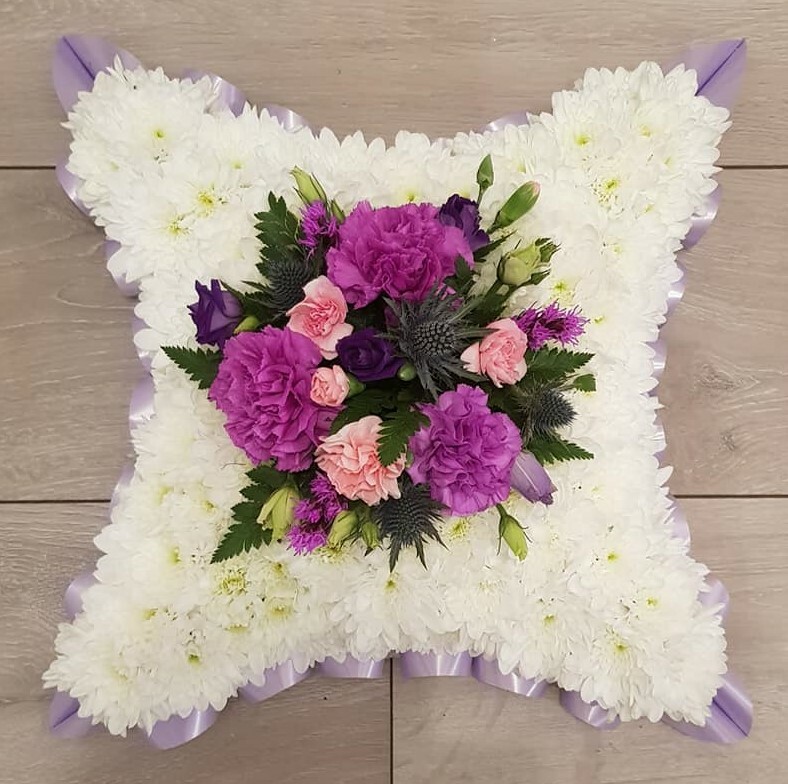 A Cushion tribute massed with white chrysanthemums with coloured top spray with pleated edge ribbon. Please specify your colour choice in the Flower Info box. 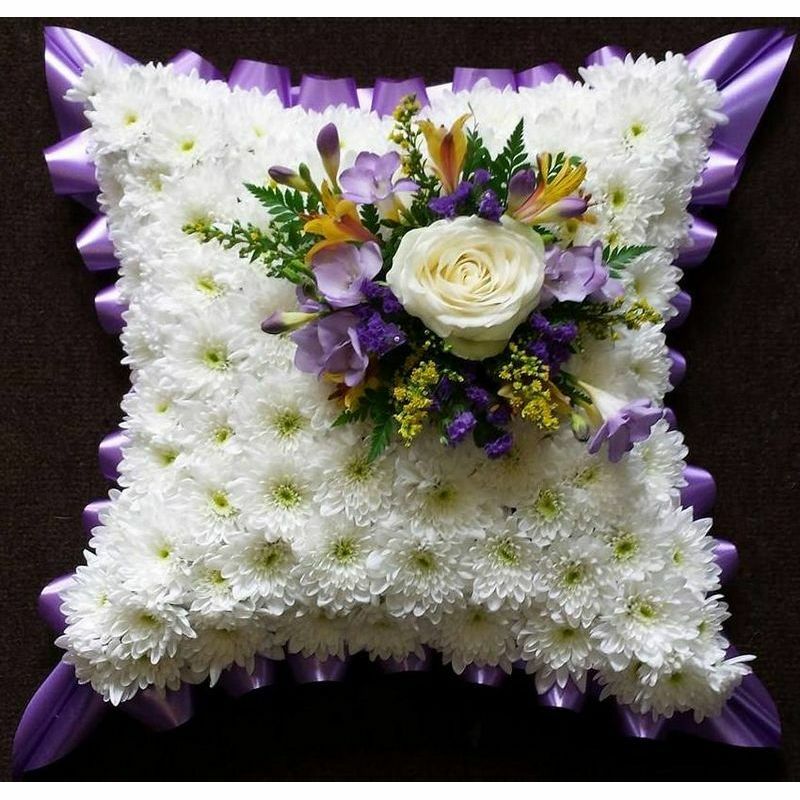 Please order funeral flowers at least 24hrs before the service.